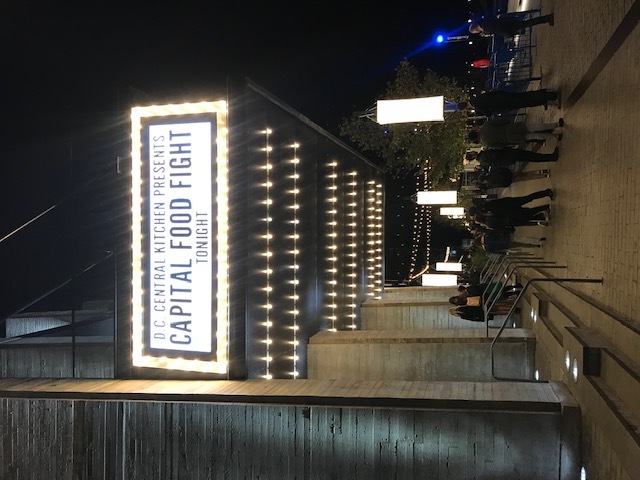 Chef Autumn Cline took the title at DC Central Kitchen’s signature fundraising event, Capital Food Fight, held Thursday, November 8 at The Anthem. 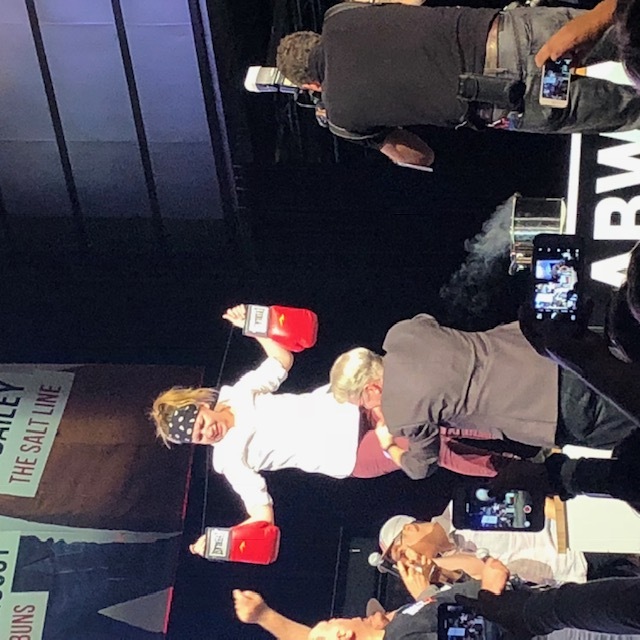 Cline beat out local chefs Kyle Bailey of The Salt Line, Alex McCoy of Lucky Buns, and Kevin Tien of Himitsu to win the exciting culinary battle. 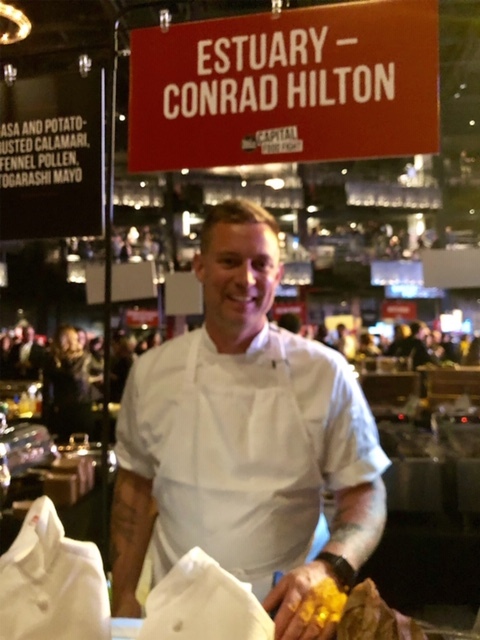 Nationally recognized celebrities came out in full force for the event’s 15th anniversary. 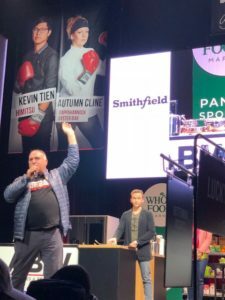 This year’s judges were: Tom Colicchio (Bravo’s “Top Chef”), Ryan Zimmerman (Washington Nationals), Richard On (O.A.R. 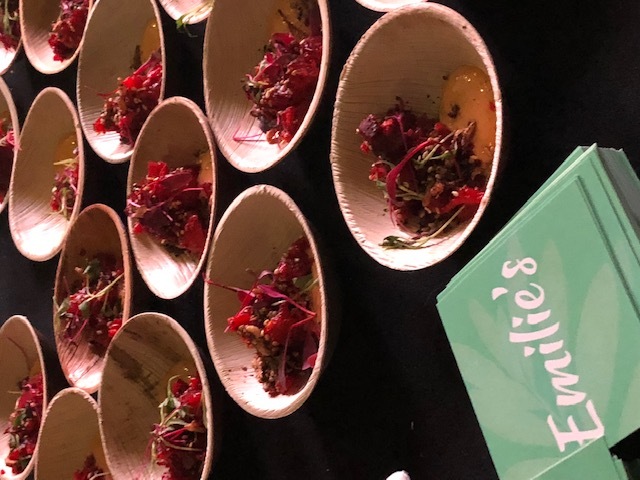 ), Jennifer Carroll (Co-Executive Chef and Partner at Spice Finch Philadelphia), Andrew Zimmern (“Bizarre Foods” with Andrew Zimmern), David Guas (TV Personality & Chef, Bayou Bakery Coffee Bar & Eatery), and Tregaye Fraser (Food Network and Cooking Channel). 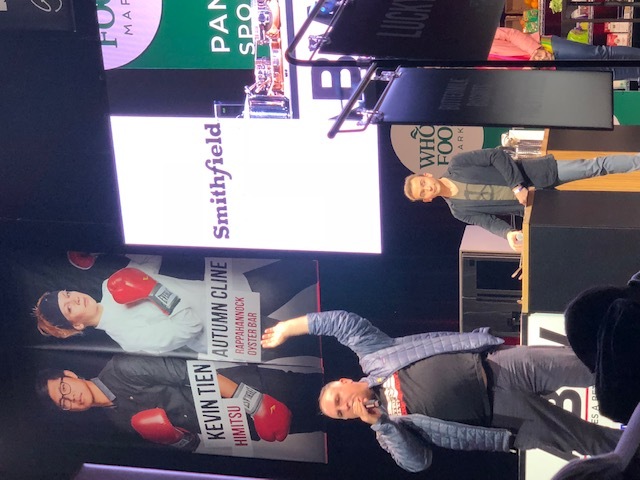 José Andrés and Spike Mendelsohn co-hosted the annual event, which included opening remarks from Washington, D.C. Mayor Muriel Bowser and first-time Capital Food Fight emcee, Tommy McFly (“The Tommy Show”). 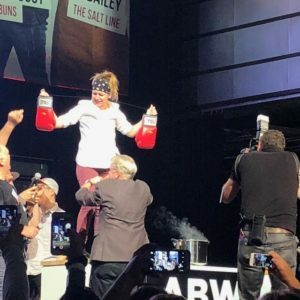 McFly’s “The Tommy Show” co-hosts Kelly Collis and Jen Richer also joined forces to serve as Field Reporters at the event, reporting on all the action taking place off the stage. Approximately 80 restaurants participated, with tasting stations on the main floor of The Anthem, and upstairs at VIP stations. The program kicked off with a moving tribute to the late co-host of Capital Food Fight, Anthony Bourdain. 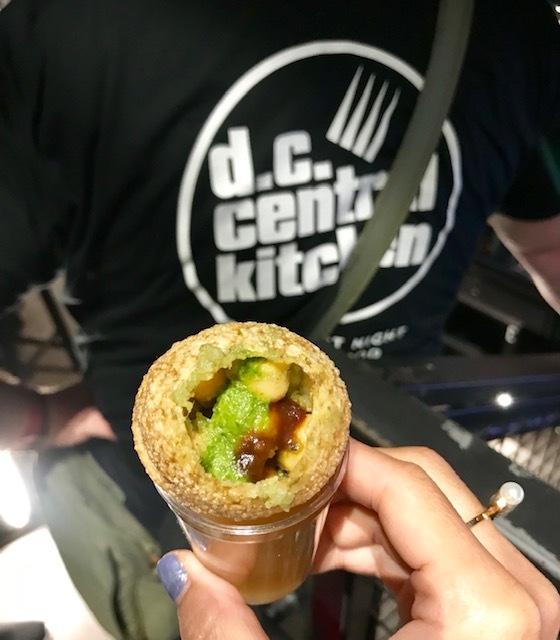 There was also an uplifting presentation of the Marianne Ali North Star Award, which provided a continuing education scholarship to DC Central Kitchen culinary graduate Christine Bates, courtesy of the National Restaurant Association Education Foundation. 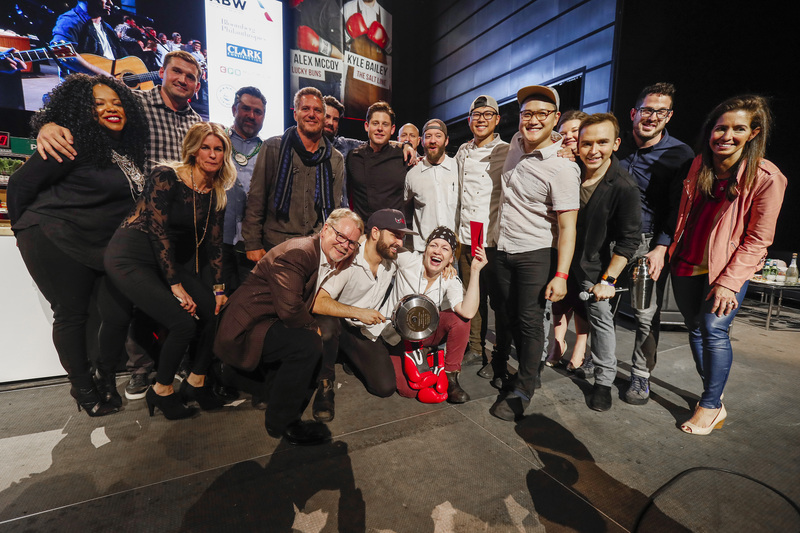 Guests voted in the first-ever People’s Choice Mixology Competition, sponsored by Beam Suntory. Six mixologists poured specialty cocktails before Adam Bernbach of Estadio was named the 2018 People’s Choice winner for his creation, “#Gintonic” prepared with Sipsmith Gin. 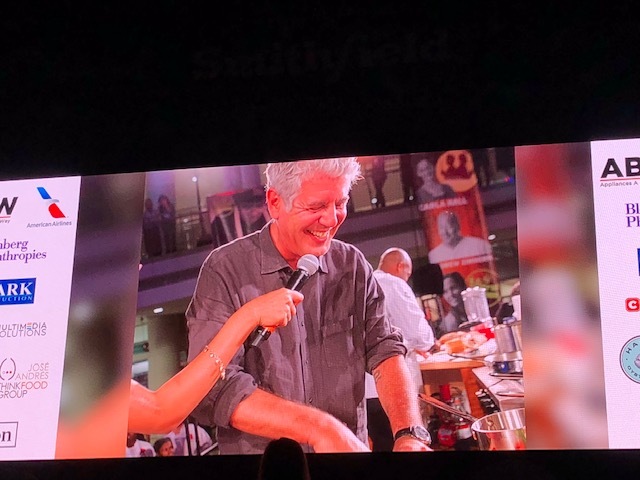 This year’s event brought together over 2,000 guests. 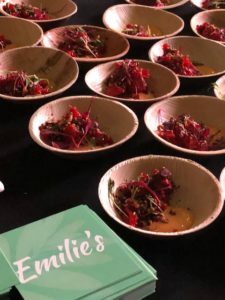 Battling chefs were asked to create dishes using secret ingredients ranging from Shoulder Bacon presented by Smithfield Foods, local white acorn squash presented by Keany Produce, and a variety of Swapples presented by Whole Foods Market. The event raised over $770,000 for DC Central Kitchen, which earns more than half of its annual budget through social enterprise ventures that are powered and led by graduates of the organization’s acclaimed Culinary Job Training program for adults who have faced barriers to employment. 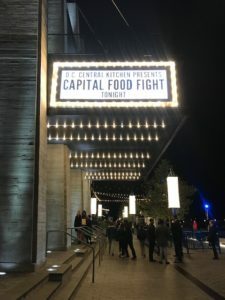 The rest of DC Central Kitchen’s budget is secured through charitable fundraising efforts including the Capital Food Fight. DC Central Kitchen serves more than 3 million meals to D.C.-area schools, homeless shelters, and partner nonprofits each year, and has won national recognition for the scratch-cooked, locally sourced meals it serves in D.C. Public Schools. 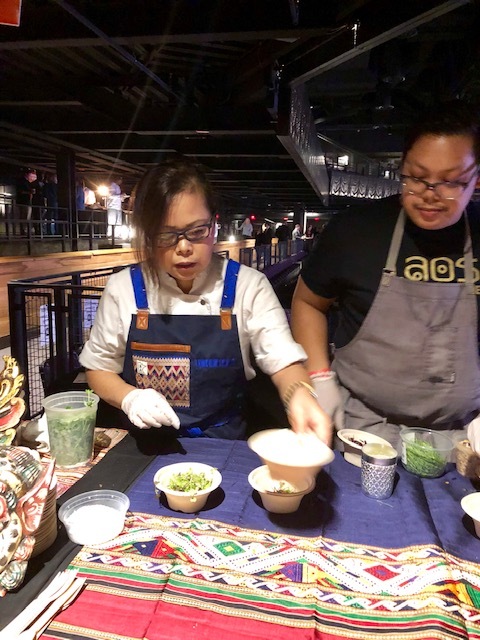 To get at the root cause of hunger, the organization’s Culinary Job Training program empowers more than 100 individuals to trade incarceration, addiction, and homelessness for culinary careers each year, and will begin a new training program for D.C. youth in 2019.